Small and compact the mini crane weigher scale suits most lifting applications. The Miniweigher Plus features full function push button controls for tare, choice of units (lbs, kg, kN and tonnes), peak hold, preset tare, audible set-point alarm and an overload counter. The Miniweigher Plus Crane Scale is a compact and lightweight load indicator that is ideal for factory, warehouse and in-the-field applications. A popular choice among steel stock holders and industrial manufacturers, the Jumboweigher crane scale is a cost-effective, highly visible load indicator. 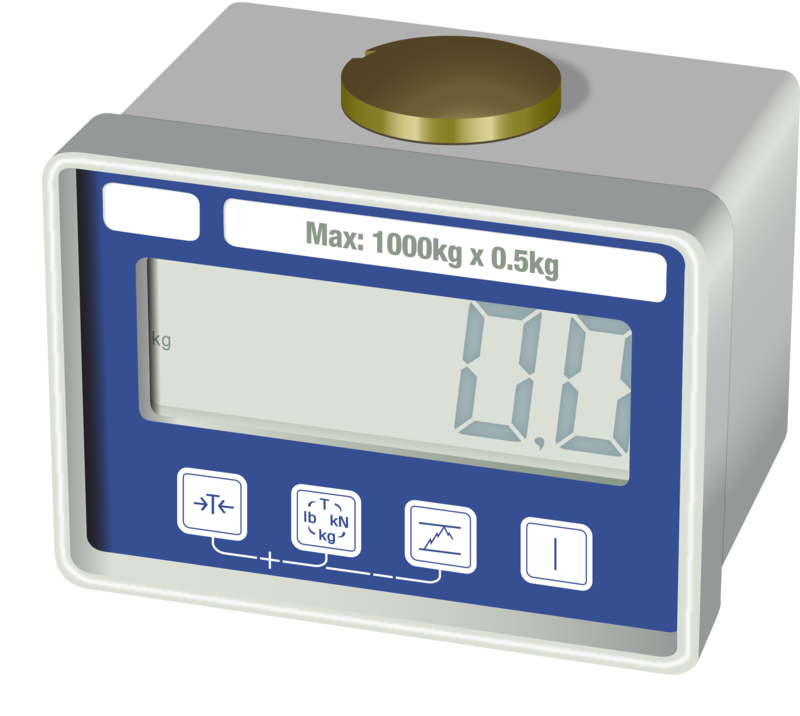 The Jumboweigher crane scale utilises superior electronics, excellent build quality and certified calibration and proof testing. This heavy duty crane scale is extremely accurate, and is manufactured from quality materials, and features a high strength aluminium alloy outer housing. The Loadlink Plus has been in production since 1979, and is now used on a daily basis for load monitoring and heavy lifts ranging in capacity from 1t - 300t. The Loadlink Plus features full function push button controls for tare, choice of units (lbs, kg, kN, and tons), peak hold, preset tare, audible set-point alarm and an overload counter. Straightpoint’s Link style dynamometers are on average 30% lighter than those offered by other manufacturers, whilst retaining the same safety rating. This product range is now available with ATEX/IECEx approval to Ex ia II C T4 Ga for use in zone 0 hazardous environments (gas). The Radiolink Plus builds on the features of the Loadlink Plus and adds the versatility of handheld remote readout and control. 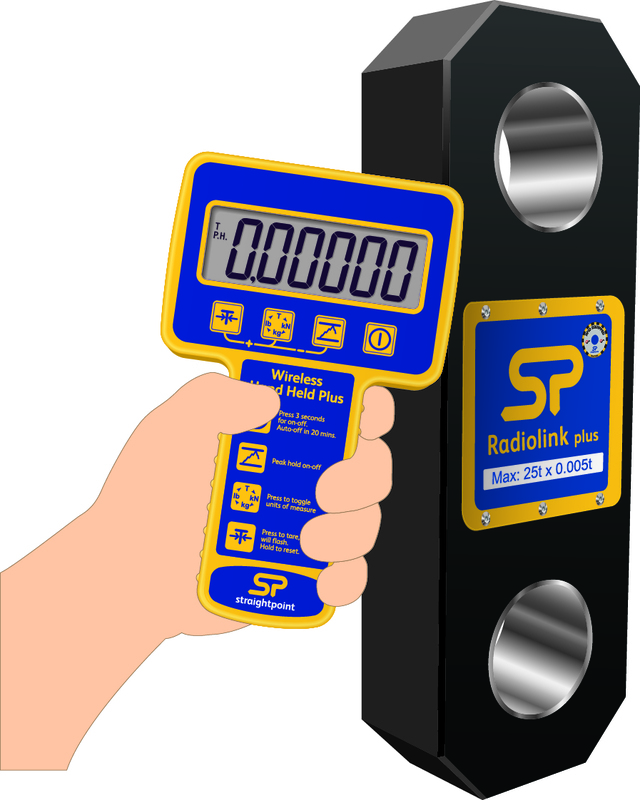 As with the Loadlink Plus the Radiolink Plus range features full function push button controls for tare, choice of units (lbs, kg, kN, and tons), peak hold, preset tare, audible set-point alarm and an overload counter. The Loadblock Plus is a compact self indicating compression cell that is used for many testing and load monitoring applications worldwide. All Load Block Plus are fitted with an adjustable set-point audible alarm as standard.